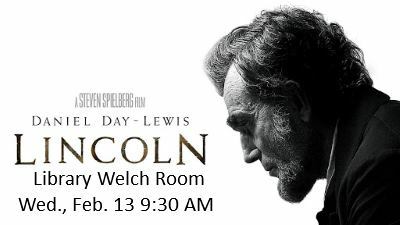 We will be showing the movie Lincoln on Wednesday, February 13th at 9:30 am. This a new event for the library and it is targeted to senior citizens. There is no admission fee and popcorn and drinks are provided at no charge.